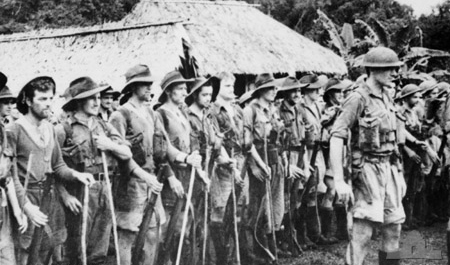 This week’s 75th anniversary of Kokoda has seen repeated claims about the average age of Australian soldiers in the Kokoda campaign. For example, author and film-maker, Patrick Lindsay, talking to Fran Kelly on ABC RN breakfast yesterday – ‘perhaps, maybe average age less than 20’ (mark 2.20) – and Damien Murphy in Fairfax (Canberra Times hard copy, p. 6) this morning (‘whose average age was 18-and-a-half’). The Australian War Memorial’s note on the battle of Isurava says: ‘The same day [26 August 1942] the first two companies of the 2/14th Battalion arrived to relieve the 39th’s exhausted young soldiers, the average age of whom was 18‘ (emphasis added). What evidence is there about the ages of the Kokoda men? We found on the website of the 39th Battalion Association the names of 54 members of the battalion who died in the Kokoda campaign and four more who died of wounds. We were able to find dates (July-September 1942) and ages of death of 57 of these men on the Commonwealth War Graves Commission website. The youngest to die was Corporal DA Howlett, aged 17 years, and the oldest Captain SV Templeton, aged 41 years. These figures are evidence against the claim of an average age of less than 20 years for the Kokoda men. The evidence is not conclusive but it is suggestive. There seems to be no reason why the age breakdown of the dead 39th Battalion cohort should differ hugely from an overall 39th Battalion cohort or a broader ‘all units at Kokoda’ cohort. * Others may wish to research this age question further, perhaps looking at the ages of all the Australians who served in the Kokoda and Beachheads campaigns, not just the dead men of the 39th. (We may do more at Honest History.) It may even be possible to find a representative Kokoda cohort with an average age of 18 or 19 but we doubt this. That is not, of course, a statement about average ages but it is interesting, nevertheless. 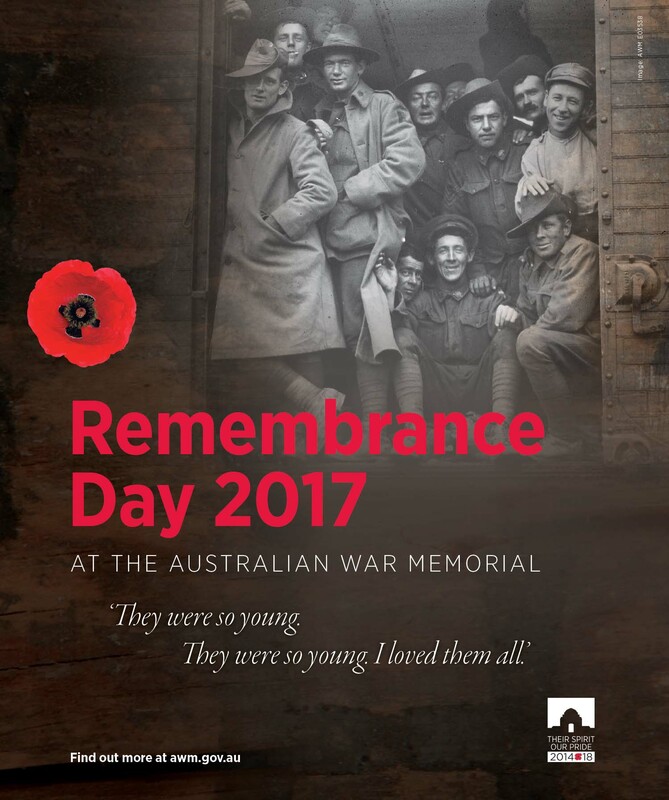 There were proportionately slightly fewer teenagers among the dead of the 39th Battalion than in the army as a whole at that time. On the other hand, there were in the cohort of 39th Battalion dead proportionately many more men in their twenties, particularly their early twenties, than in the larger army. That fact – and the memory of ‘numerous’ teenagers in the CMF battalions – might have developed, over time as memory dimmed, into an exaggerated average estimate. Above is the Australian War Memorial’s advertisement for Remembrance Day, which depicts World War I soldiers over a caption from Sergeant Jack Sim of the 39th Battalion, remembering Kokoda: ‘They were so young. They were so young. I loved them all.’ They were young, but not that young. Myths with added pathos persist. To think well, we must … develop an ear for tone, for what rings false, for what is sentimental or has yielded to pathos and so on. (Raimond Gaita, Meanjin, September 2017). * The Australian War Memorial has an outline history of the service of the various units involved at Kokoda.